Jaeger apprenticed under Bruno Marti at La Belle Auberge Restaurant and later worked at the Waldorf Hotel in London, a move that led to France, Switzerland and Australia. 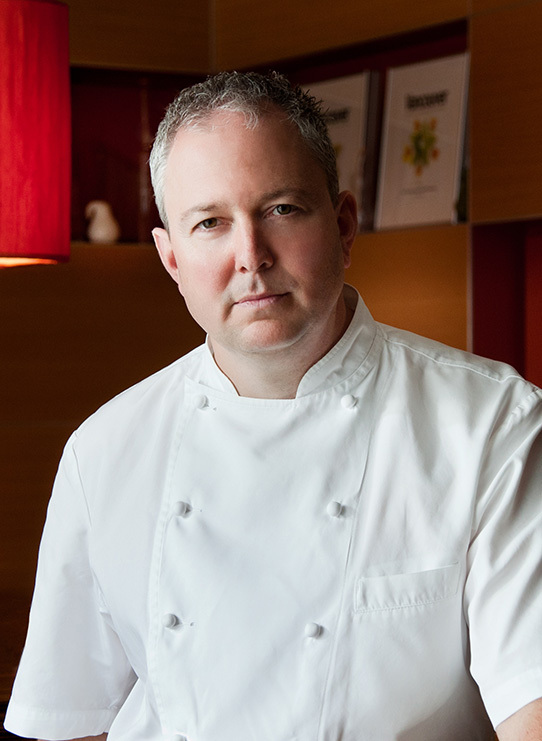 He and his wife Stephanie opened the Pear Tree Restaurant in late 1997, which was rated top overall in Zagat 2012 to 2014 and named in Canada’s Top 100 restaurants in 2015. Jaeger holds the position of Vice Conseiller Culinaire of the esteemed Chaine des Rotisseurs, in addition to being a member of the Canadian Culinary Federation and the president of The Chef’s Table Society of British Columbia. In 2007 he had the honour of representing Canada at the Bocuse d’Or in Lyon, France and in 2008 and 2016 as a member of the Canadian National Culinary team, earning a grand total of six gold medals in Erfurt, Germany. In 2013 he travelled to Dubai, again with a Canadian culinary team for the World Hospitality Championships.